A revolutionary exfoliation treatment that gently polishes the skin helping to rejuvenate, smooth and improve imperfections. This procedure has been proven safe and effective for the treatment of minimizing fine lines, wrinkles, sun-damaged skin, acne scarring, and superficial age spots. This service can be added to any facial for an additional $25. Have you ever had the experience of enjoying a microdermabrasion facial treatment? The treatment can leave you with skin that appears flawless. When skin is not properly exfoliated for a lengthy period, the dead skin cells start building up and will eventually clog the pores while leaving the skin looking dull and possibly even causing breakouts. Not only can a microdermabrasion keep your skin from looking dull, but it can also help you combat different problems that you are experiencing with your skin. Microdermabrasion is a type of treatment performed on the face to improve its texture and appearance over time. When it is properly performed, it can get rid of the dull layer of skin while smoothing out some wrinkles and reducing the appearance of light scars that may appear on the face. It is ideal for those with hyper-pigmentation left behind from acne, as well as those who are just noticing a few lines and wrinkles on their face. The average session lasts for about 30 minutes at a time. A professional carefully works on applying the microdermabrasion tool to the skin, making sure to cover all areas of the face with it while leaving the skin softer, smoother, and much healthier looking. Microdermabrasion skin treatment is for anyone who wants to have skin that naturally looks a lot better. It is great for those who would like to achieve a much softer texture or for those looking to diminish the appearance of certain imperfections, such as those light acne scars and fine lines. The finished results often leave skin looking plump and youthful with such a natural glow to it. A trained professional will use gentle tools to help sand away at the top layer of the skin. One misconception that many people have is that microdermabrasion treatments are painful. However, this is entirely untrue. You may feel a slight tingling sensation during the treatment, but that is only because the top layer of the skin on your face is being removed to leave you with skin that looks more refreshed. The treatment is non-invasive and does not take long at all. If you want to maximize your results and see the most improvements, you should have microdermabrasion performed at least once a month for several months at a time. After a single treatment, your face may look a bit red and irritated. Your skin will feel slightly sensitive for a few days, but you can still wash your face with a gentle facial cleanser as you normally would to keep it clean and get rid of any dirt that starts building up on the skin. The sensitivity should not last too long and the redness will typically start to subside within a few hours after you have had the treatment performed. If you want to have skin that looks clear and refreshed, leaving you feeling much more confident, microdermabrasion is the way to go. It offers plenty of benefits to people of all ages. 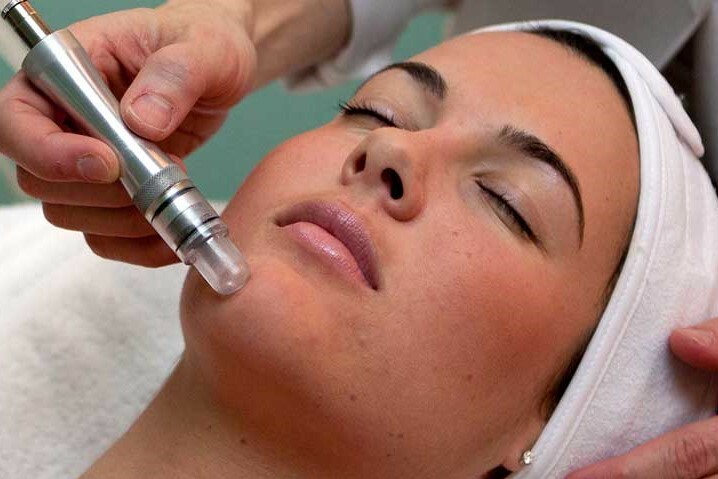 Microdermabrasion is beneficial to those with different types of skin concerns and conditions. If you apply your foundation to your skin and notice that you can still easily see your enlarged pores through the foundation, you may not like the overall appearance of your skin. If you have age spots that you would like to treat or damage on your skin from spending a lot of your time out in the sun, microdermabrasion can make such a significant difference. What Kind of Effects Does It Have on the Face? The effects that microdermabrasion can have on the face are quite astonishing. 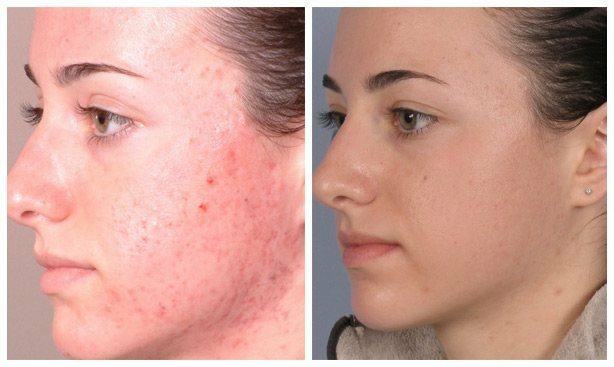 After several treatments, those with acne and light acne scarring tend to notice such a significant improvement as their blemishes begin to clear and heal on their own while the scars start to become much less visible. It can help those who struggle with blackheads, shrink the pores, and quickly lighten noticeable sunspot marks. It even leads to a collagen boost that is naturally good for the face because collagen is what makes the face appear plump and youthful instead of dull and wrinkled. The results of a microdermabrasion treatment are quite noticeable. Many people like to take before and after pictures to carefully review the changes that a single treatment has made for them. Of course, those who want to see the most astonishing results should return for additional treatments to maintain the healthier condition of their skin.